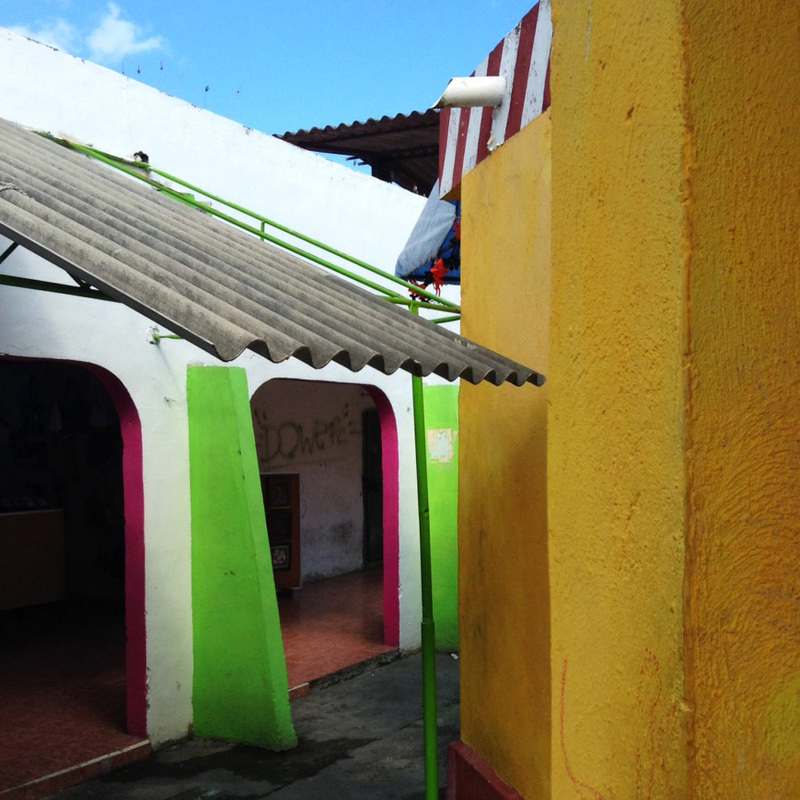 Over the weekend we hit up a little market in Cancun called Mercdo 23. It's gritty, it's local, it's cheap and it's fun. Sure, there are better and bigger local markets in the cities and towns around, but this one still has a great feel. There is local music playing everywhere, butchers chopping up chickens and pigs out in the open while locals line up to get the fresh meat. Party supply stores, florists, taco stands and voodoo vendors. That's right. Voodoo. Several shops sell various potions, candles, dolls and woods for practicing voodoo. 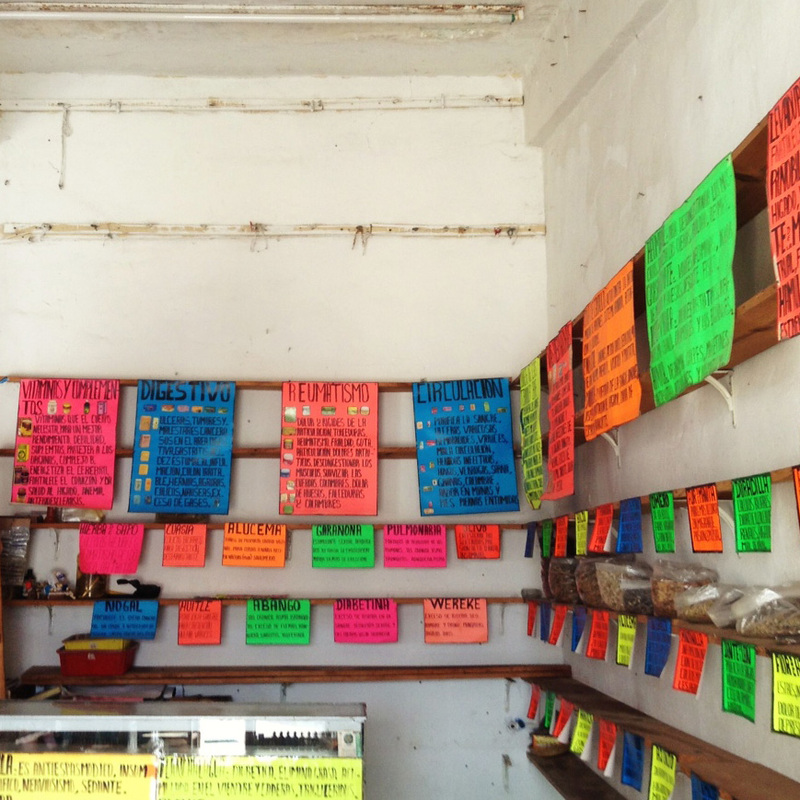 We bought a bunch of firecrackers, papel picado for our wedding and put back a few tacos. All very cheap. These photos were all shot with my iPhone as quick as I could, because sometimes you just feel a little too out of place holding up a camera in a tiny local market while locals wonder, "What could this townie possibly be taking pictures of in our market?" So anyhow, if you're in Cancun and looking for a more authentic experience than the hotel district offers (basically a Mexican Miami), head to Mercado 23 and grab lunch for two at a total of $50 pesos (give or take $4usd). Here's a song to get you in the mood for the sounds of a local market.